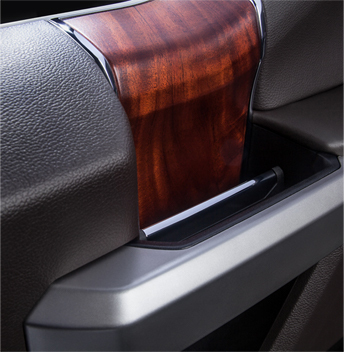 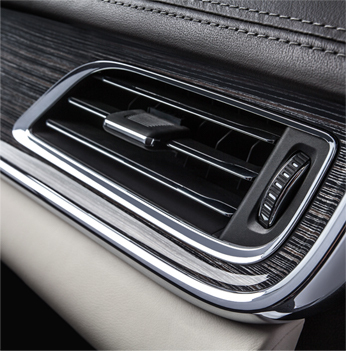 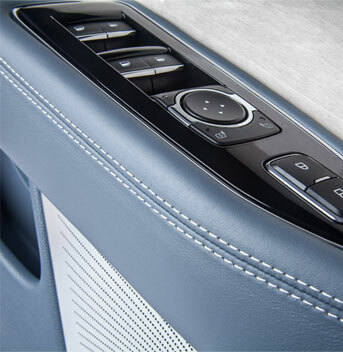 In conjunction with the development and market rollout of its new brand, “Inspiring Mobility,” Faurecia Interior Systems wanted to ensure that its brand became integrated into its workplace and culture. 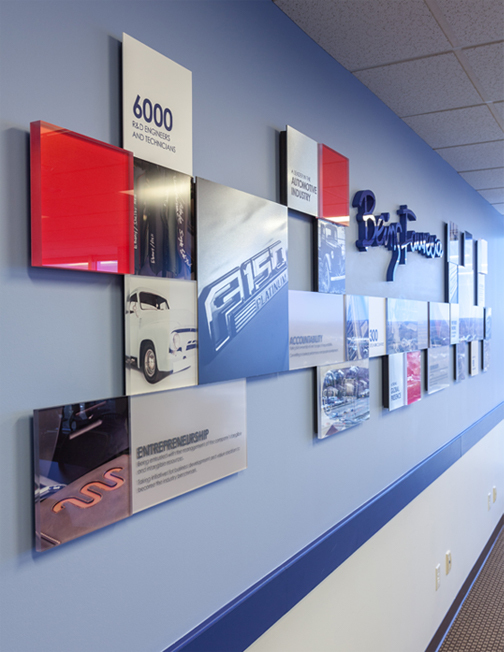 They asked us to convey the brand visually throughout their headquarters, reinforcing its “Being Faurecia” culture. 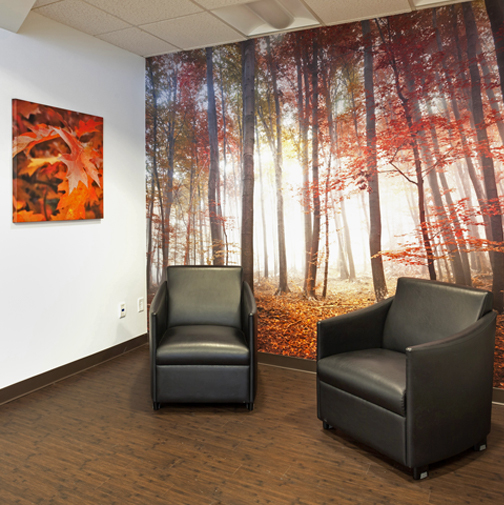 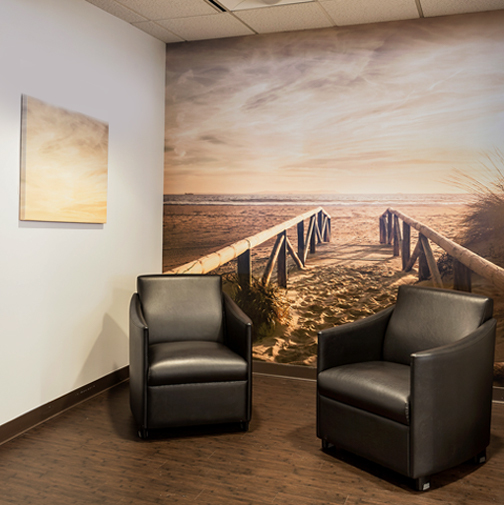 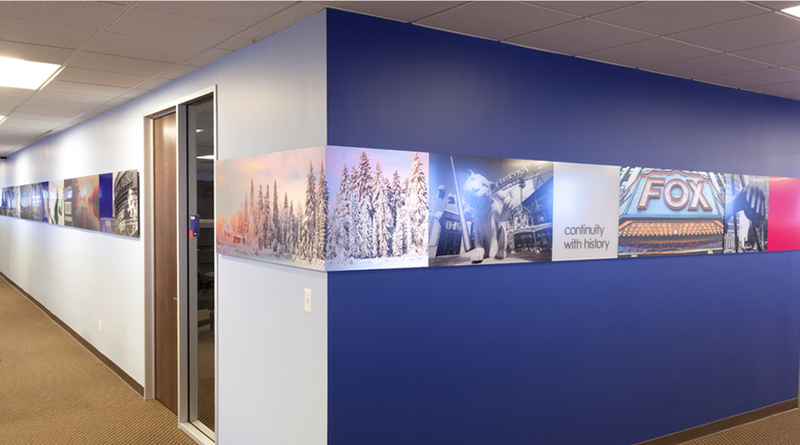 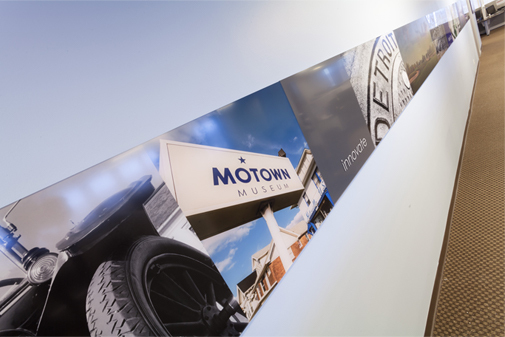 We proceeded to develop art and graphic elements that would visually integrate the Faurecia brand into its offices. 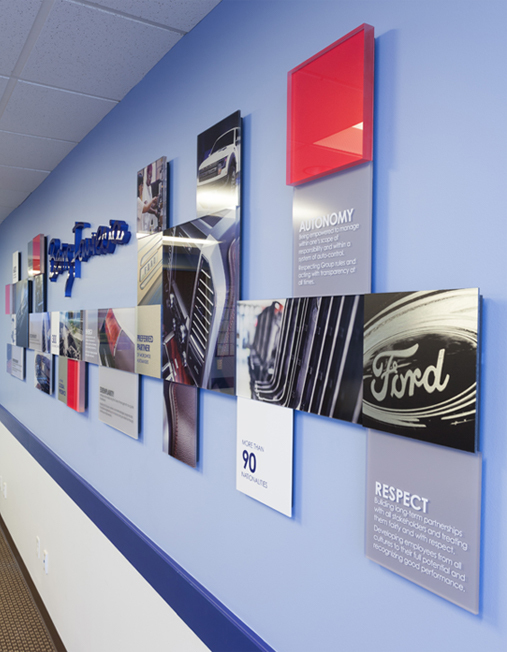 Through detailed analysis and creative development, we planned how to best achieve the visual brand integration Faurecia designed. 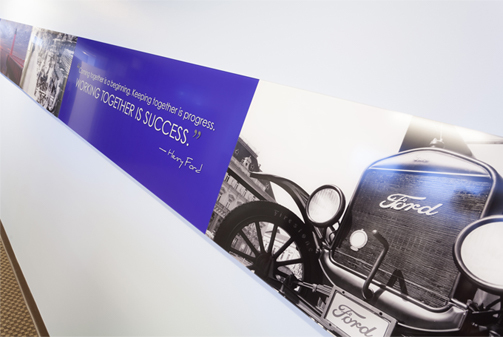 We incorporated the ruby square from the logo to symbolize a new starting point for Faurecia, as well as a touch of inspiration and innovation, which is at the heart of their brand. 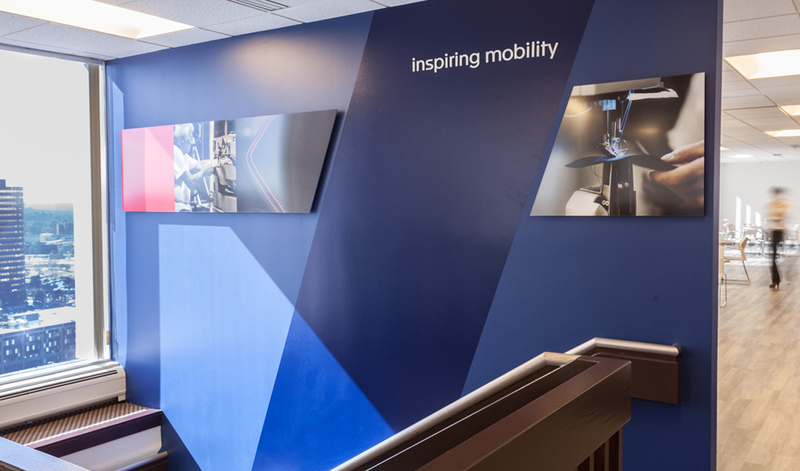 Utilizing the new brand tagline, “Inspiring Mobility,” supports the brand and Faurecia’s promise to its employees of an inspiring workplace where they can achieve their potential.